WARRIORS coach Sunday ‘Mhofu’ Chidzambwa has pleaded with fans to come in their numbers to pack National Sports Stadium while pledging to put smiles on their faces. Zimbabwe need to avoid defeat against the Red Devils for them to qualify for the Afcon finals set for Egypt in June this year. All the four teams in Group G still have a chance of qualifying with Warriors leading the pack on eight points, Liberia on seven, Democratic Republic of Congo on six while Congo Brazzaville have five. Having suffered a heartbreak at the hands of the Red Devils before, Chidzambwa is hoping to change the script and give the soccer loving fans something to cheer on. “Our supporters are starved of success. “They must come in their thousands and rally behind the boys. 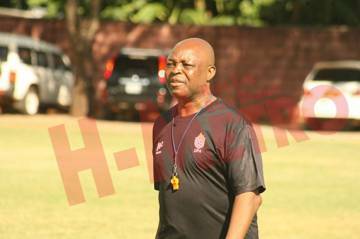 Their support will help them win the match,” said Chidzambwa on the sidelines of the team’s training session yesterday. Chidzambwa, who took Zimbabwe to their first ever Afcon finals back in 2004, will be without Club Brugge midfielder Marvelous Nakamba who is injured. There are also concerns on captain Knowledge Musona’s availability as he did not participate in yesterday’s training. The team doctors have, however, said the talisman will make it and have just decided to rest him. “Nakamba is a key member of the team, we are going to miss his services. But, however, I think we chose 28 players which means whoever replaces him will do well. “We are all here. From what I have seen everyone is raring to go,” he said. The veteran tactician said they will not play under pressure and are not intimidated by Congo. “We are going to play eleven guys from Congo and eleven guys from Zimbabwe will be fighting throughout the 90 minutes to produce a good result for the country. “They have good players and most of their players play in Europe and from what we saw in the first round it is going to be a tough game for both teams. “Most of these guys play in foreign teams, they are used to this kind of games and they can maintain the pressure and do well,” added Mhofu.